Bettie Mae Johnson, 93, formerly of Flagg Ave., Crane St., and Hultquist Place passed away Thursday (Oct. 5, 2017) in the Lutheran Home and Rehabilitation Center. She was born Oct. 29, 1923, in Marion, Ohio, the daughter of the late John W. and Flossie Mae Knickles Fowler. Bettie was a graduate of John Hays High School, Cleveland, Ohio, and earned her associates degree in humanities in 1984 from Jamestown Community College. In earlier years, Bettie was employed by Weber Knapp and Jamestown Public School System. Prior to retirement, she was employed by Chautauqua Hardware. 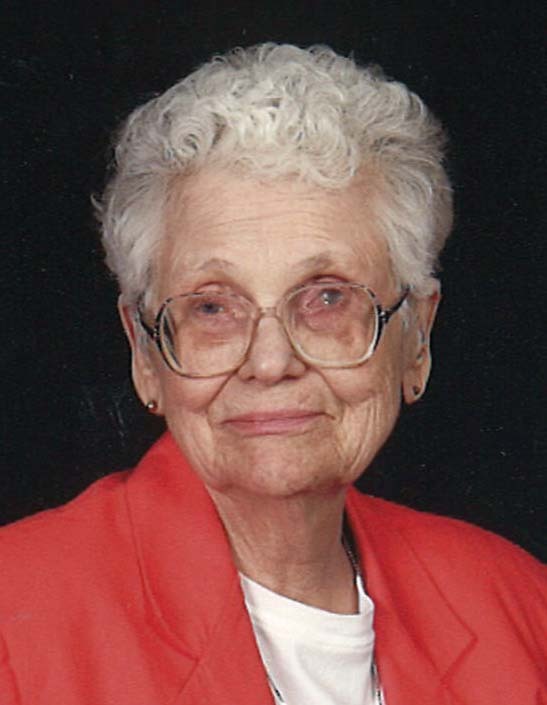 Bettie was a member of the Immanuel Lutheran Church and was a member of the churches Senior Choir, Church Council, Christian Nature Committee, Worship and Music Committee, Sunshine Club having served as president, Hospital Visitor and Home Communion Committee and had served as Sunday school teacher. She was also a member of the: Ring Elementary School PTA having served as president, Brownie leader and Cub Scout den mother at the former East Jamestown School, YMCA Quilting Bee and Joint Neighborhood Project having served on the board of directors and volunteer. Surviving are three children: Lynda Mae Johnson of Lake Worth, Fla., James S.C. Johnson of Dundee, Ohio, and William C. Johnson of Jamestown; six grandchildren: Nathan Knowlton, Baron Knowlton, Renee L. Johnson, Sarah K. Johnson, Hanna E. Johnson and Katherine Mae Johnson; two great grandchildren: Waylon James Knowlton and Blake Haden Knowlton; and a sister, Donna O’Brien. She was preceded in death by her husband, Alfred C. Johnson, whom she married Sept. 16, 1946, in Immanuel Lutheran Church, and who died May 20, 1967; and a sister, Ruth L. Khika. The funeral will be at 1 p.m. Wednesday in the Tree of Life Immanuel Lutheran Church, 556 E. Second St., Jamestown, NY 14701. Pastor Tara Eastman will officiate. Inurnment will be in Pine Hill Cemetery. Friends will be received by the family from 11 a.m. to 1 p.m. Wednesday in the church.